Colts vs IceDogs vs Officials: Triple Threat Match (silly) Recap... #OHL - Very Barrie Colts | A website covering the Barrie Colts of the OHL. 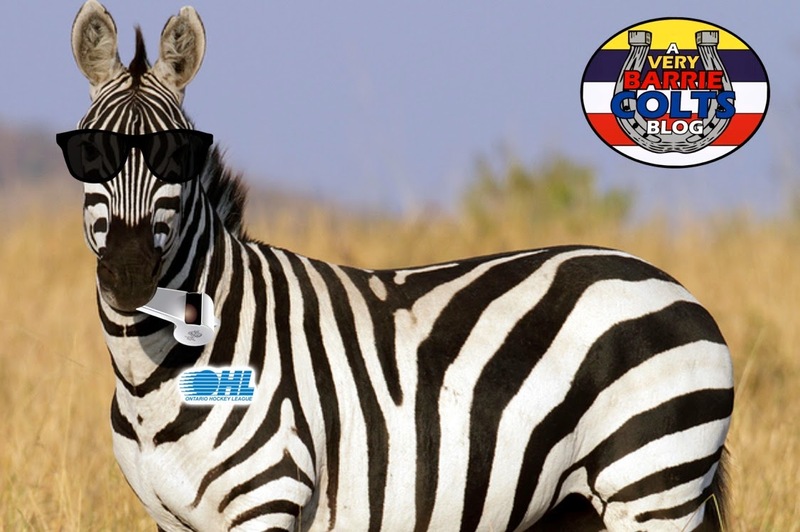 Last night the Barrie Colts faced off against the Niagara IceDogs and the OHL Zebras. In a game that had a lot of meaning for both for Niagara and Barrie, the Officials seemed to think that they were the star attractions. And though the Colts might not have walked away with a win, everyone walked away with a smile. The Barrie Colts managed to clinch 2nd place in the Eastern Conference as well as top spot in the Central Division; The Dogs managed to position themselves so that they can possibly earn home ice advantage in the first round of the playoffs and the referees got a chance to make sure that their whistles worked heading into the playoffs! Here is the "corrected" OFFICIAL Penalty summary compared to last nights Officials Penalty Summary. If you missed the game, Garrett Hooey was called for a "Hit to the head" in this play. And, though "fixed" later on, Joseph Blandisi was called for "high sticking" on this play. End of the day, there are a few games left in the OHL season. Some teams are in dyer need of points and it is tough to win games when the officials are seemingly working against you. Did it hurt either team in this case? Luckily, no but with playoffs right around the corner the officials can't have nights like this. In most cases, they do a decent job but no reason they shouldn't have it brought up when they are this terrible.